Custom Plastisol Transfers of your graphic designs. 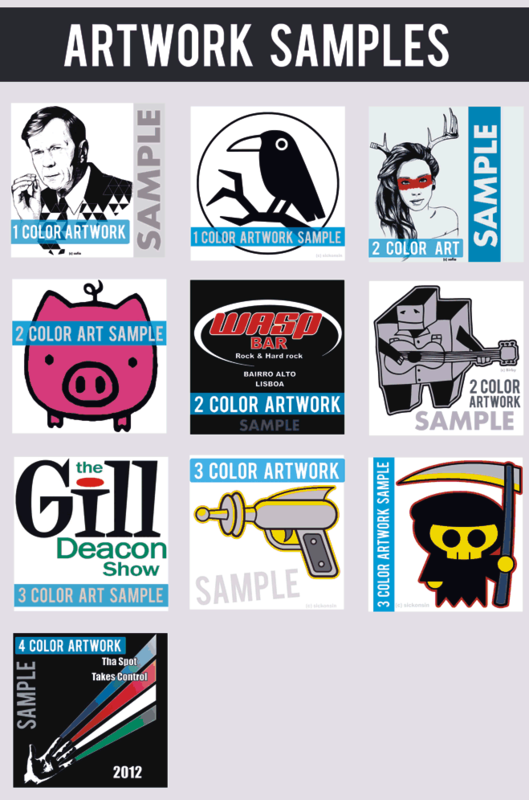 Plastisol Transfers are made with your artwork graphic designs via the traditional Screen Printing process. They Produce visual vibrant colors, are soft to the touch, professional high quality, DO NOT CRACK, durable and machine washable. Plastisol Transfers Print on most textile items, print them yourself, Quick and Easy application with a Heat Press Machine or Home Iron. Long shelf life, use them up as needed. No waste, work every time, no sewing required. Learn More! Do not crack, View Stretch samples below. 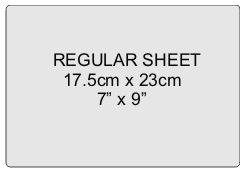 note: we DO NOT charge per design on the transfer sheet, we charge per sheet size and color qty per sheet. 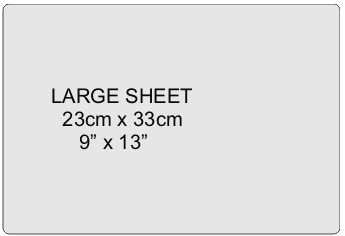 In other words you can fit/gang more than 1 design on the transfer sheet. 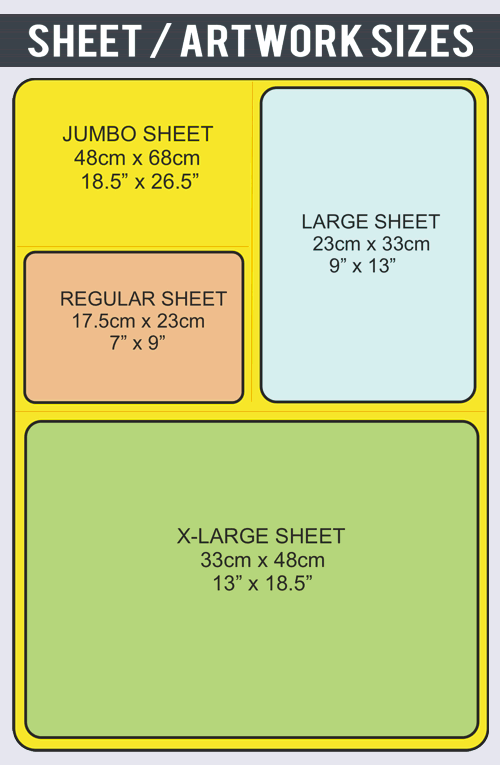 Below are the 4 sheet sizes we offer. 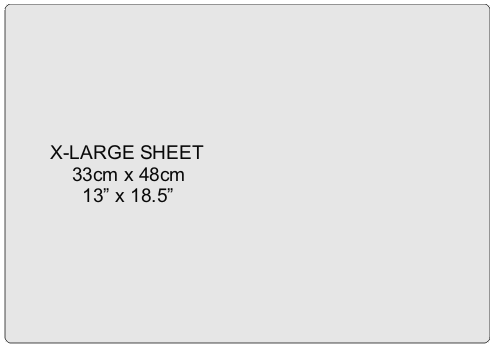 To order custom plastisol transfers start by choosing the transfer sheet size. (view samples). 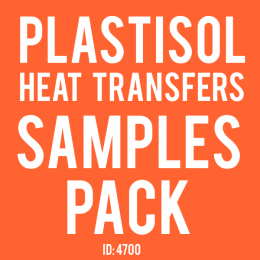 New to the printing trade, curious, need to see, feel, test and learn more about Plastisol Heat Transfers? 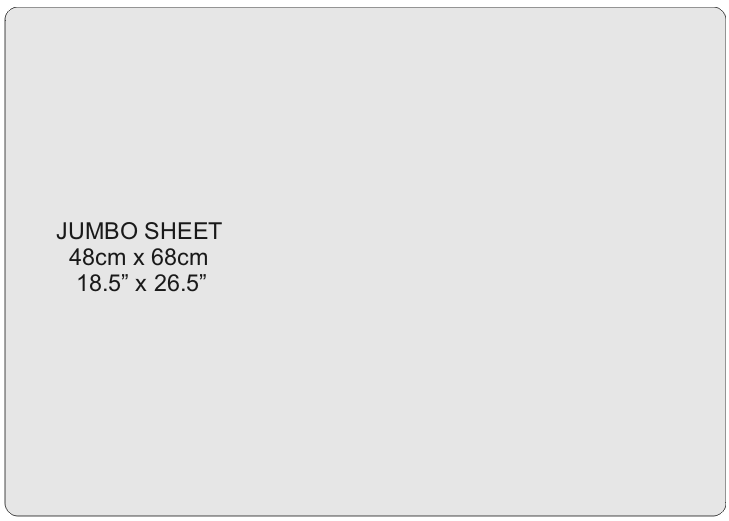 ... check these Screen Printing Plastisol ink Heat Tr..